President Abed Rabbo Mansour Hadi’s own struggle for political legitimacy stems from the same complexities of Yemeni politics that some Yemeni officials claim its coalition partners fail to comprehend. "The Yemen Conflict in Perspective: Geopolitical and Humanitarian Challenges"
The Center for Gulf Affairs aims to enhance U.S. understanding of the major issues and opportunities in front of the six members of the Gulf Cooperation Council who are key political, security, and economic partners for the United States. It is a hub for analysis of developments within the GCC and the broader region, including Iran, Yemen, and the Gulf and Red Sea littorals. 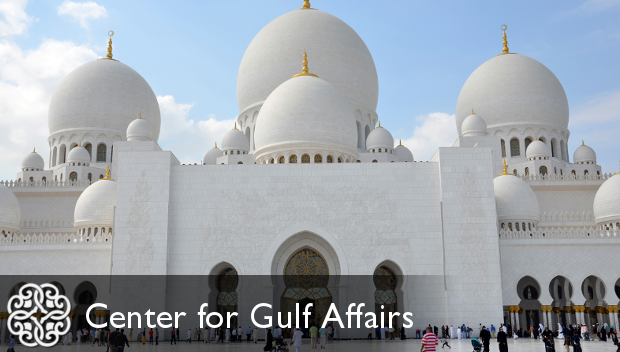 The Center will lead initiatives to strengthen relationships with counterpart institutions in the GCC region and will seek to inform policymakers, the business community, journalists, and other leaders in Washington and outside the Beltway.